Just like being an NFL football player or NBA basketball player, being a professional skateboarder is a profession and lifestyle many aim for. 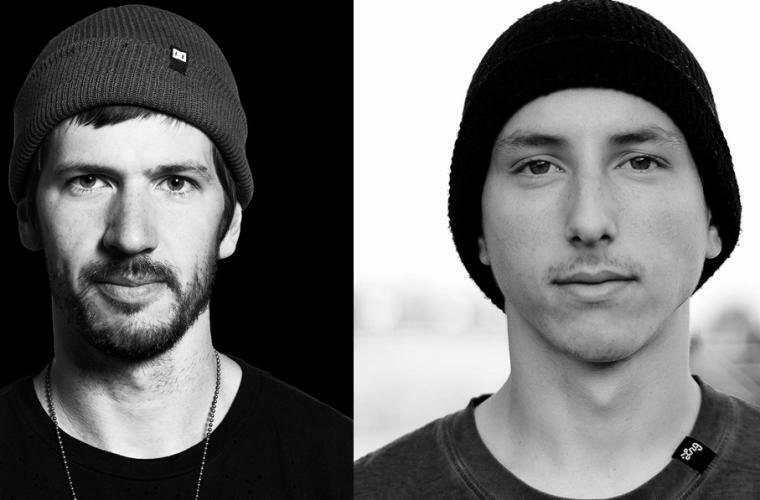 Chris Cole and Tom Asta both succeeded in climbing the ranks of the skateboarding world, but not before years of practice in their hometown of Bucks County. What’s your favorite restaurant in Bucks County and why? Chris: Wawa is always my favorite! That being said, I love the Steve’s Prince of Steaks that opened on Route 1 in Langhorne. Wing night at The Langhorne Hotel is great. And all the diners from Blue Fountain to the Great American; diners are a big part of the East Coast. Tom: The Langhorne Hotel. It's owned by my father and uncle and I've been eating there ever since I can remember. I guess I just grew up on it. It's an old historic building right in the heart of Langhorne that serves up homemade Italian food and some American classics. The food is delicious and the tavern in the back is always a good time. Where’s your favorite place to skateboard when you are back home? Chris: I skate the Falls Township Skate Park or spots I hit as a kid. It's fun to visit those places where I learned so much of what I do now. Tom: I usually just skate the local parks in the area - Newtown Skate Park and Falls Township Skate park. They are fun parks and close to my house! Chris: When I was a young kid at my grandma’s house, I saw someone skate past the house and I was captivated. I wanted to be just like that guy. I became obsessed and have been ever since. It's like a positive addiction. Tom: I started skateboarding when I was 10-years-old. My cousin had a skateboard that I started to ride around and get the hang of. My parents bought me my own board that Christmas and I've been skating ever since. I fell in love with it. I've placed 2nd in the KIA World Games in Shanghai, China, 3rd in the 2016 Tampa Pro Contest and won two different Street League Skateboarding best trick events. Why are you proud to call Bucks County your hometown? Chris: Because it had it all! I was so lucky my mom made the choice to raise me there. There is something special about our hometown, something that makes us want to stay. It's suburban, but busy enough to keep you involved. When I bring in people as guests they leave understanding why I love it so much. It really comes down to people. The best friends I can ask for come out of [Bucks County]. Each street has a memory attached to it. Each parking lot, field, mall, and town has a special place in my heart with memories of doing and experiencing things before you had seen everything. When I visit home, I drive around town at night just to remember those moments. Feels like breathing new air. I always plan to move back. Tom: I think the fact that I never moved away from this area, especially being a professional skateboarder, really shows how much I love Bucks County. It doesn't make my career any easier by living here, considering the cold winters, not many good places to practice, and most of the skateboard industry being in California. But I make it happen the best I can because I love being in this community, around my family and the friends I grew up with, and just being home.